Poplun: I joined "Le Petite!" 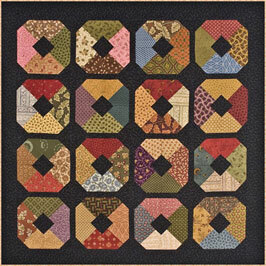 One of my favorite quilt clubs last years was "A Year of Schnibbles," hosted by Sinta of Pink Pincushion and Sherri of A Quilting Life. 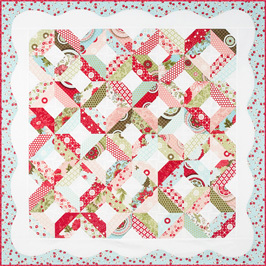 While my schedule was way too hectic to join in the fun, I enjoyed the monthly parade of beautiful Schnibbles quilts - wow, are you ladies talented!! 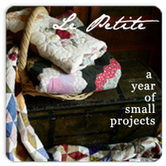 Well, September was the last of the Schnibbles months ... but Sinta and Sherri are starting right back up in the month of October with a new club: Le Petite: A Year of Small Projects. The first project of the month is ... The Paganini Schnibble. I've had my eye on this pattern ever since it came out ... so I'm thinking that this must be a sign from the heavens that I should join Le Petite! Plus, since the number of expected babies among my friends and family has just risen to 6, I'm in need of lots of little handmade gifts! If you're interested in joining too, sign up with either Sinta or Sherri first, then grab your Paganini pattern and have pictures of the completed project submitted no later than October 31st -- you still have almost three full weeks, so it's not too late! If you haven't noticed yet, I'm a big fan of Carrie Nelson's patterns and am really excited to start Paganini. One of the beautiful things about this pattern is that it is really four-patterns-in-one, so it may take me a little while to choose which one to make! 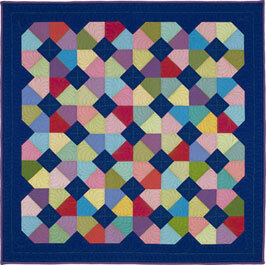 Version #1 (shown belown) was made with Figtree & Co's Fresh Cotton and has a beautifuly delicate scalloped border. I'm also a fan of quilts that use my favorite fabrics offset by a crisp, white background, so right now, this is the forerunner for me! 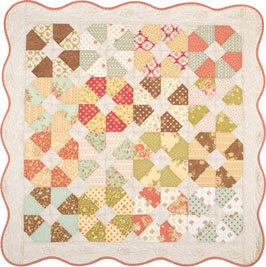 ... and Version #4 has more of an "X" shape, rather than the wheel, and has that great scalloped border over a square one. Love it! Are you participating in Le Petite too? If so, which pattern did you choose? I can't wait to see everyone's results!! Version #1 is definitely my favorite!